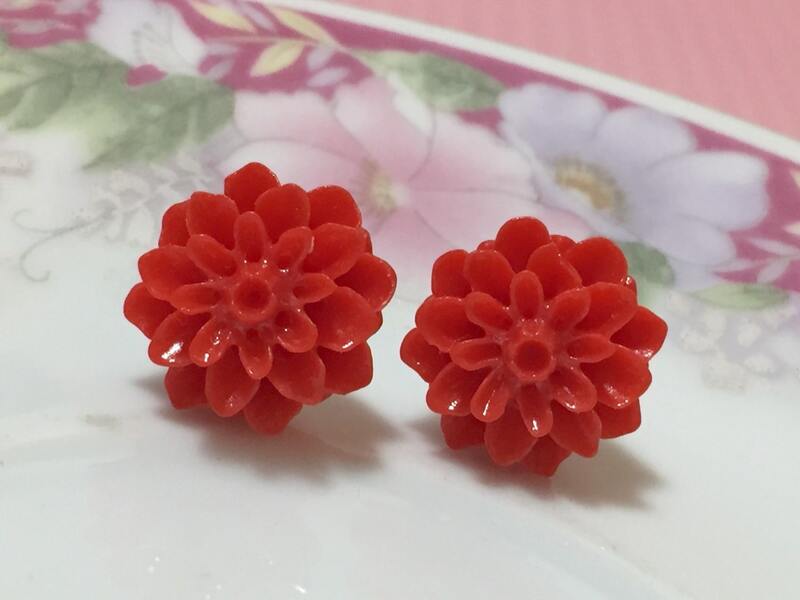 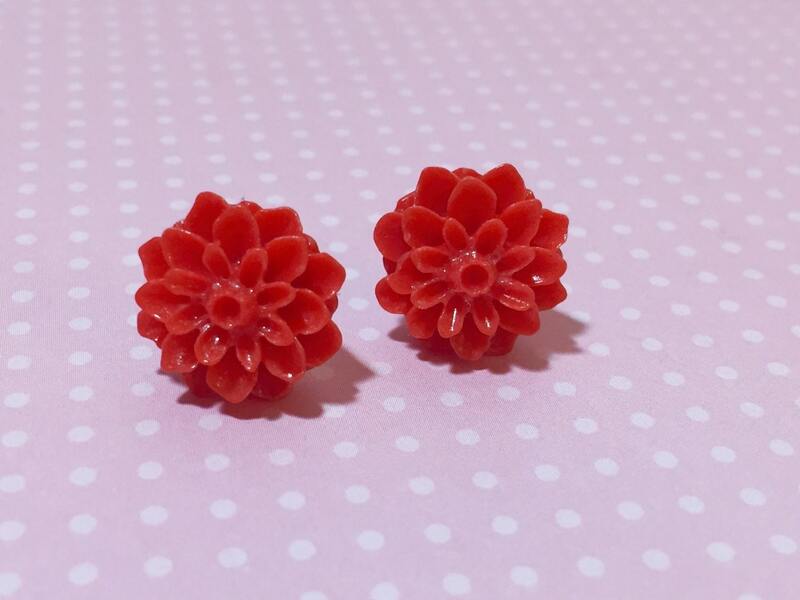 Gorgeous Chrysanthemum Flower Earrings in a nice fall / autumn crimson red color measuring approximately 5/8 inches (16mm) have been attached to stainless surgical steel ear posts with professional grade jewelry epoxy. 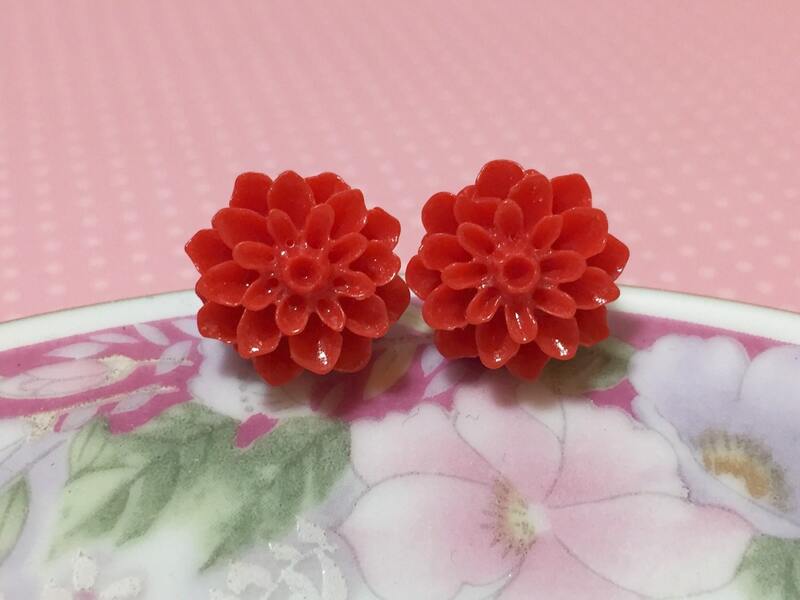 Please visit my shop to find your favorite color - I have these in MANY colors! 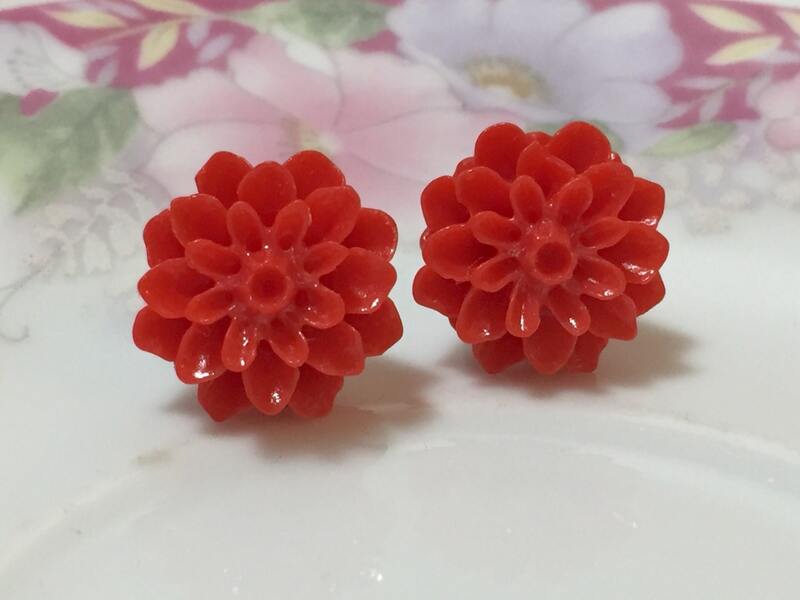 If you do not see the color you are looking for, please contact me as I may have it available.